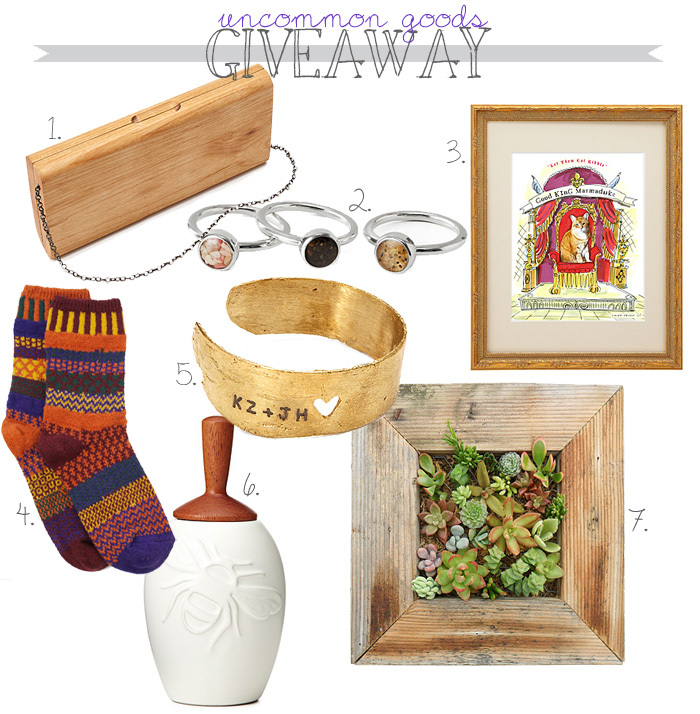 GIVEAWAY : win $50 to Uncommon Goods! Remember that awesome wood clutch that I was carrying in yesterday’s outfit post? Well now you have a chance to win a unique and handmade gift yourself from Uncommon goods! They have graciously offered the chance for one of you to take home a $50 gift certificate. Pretty sweet, yes? Whether you want to get something for yourself, or pick up something for a loved one, there are sooooo many possibilities. Hey, you could even get a start on your christmas shopping (they have some perfect stocking stuffers!). And there are plenty of amazing things under $100 (see here). So, just fill out the form below for your chance to win! Giveaway will run for one week. The winner will be selected at random and announced in this post.